Find out where the inspiration for the Kindred Being website originated from. Contact information for Kindred Being. Tell us what you're thinking! Meet the Kindred Being contributors who lend there time to make the Kindred Being site what it is. Support Kindred Being And Join Our Kindred Journey. Our Goal Is To Dedicate More Of Our Time To Spirit Guide Communications And To Share The Knowledge That We Gain, As Well As The Products That Assist Us, With All Kindred Beings. Your Support Goes Towards Continued Content And Progression On Our Shared Journey. A Gallery Of Photographs Where We Share The Beautiful Moments We've Captured Along Our Kindred Journey. Find photos of nature and wild life. Pictures of the many things that are important to us on this journey. Welcome to Kindred Being! Our service to others concept brings transformation to these pages in many forms. Shop our transformative meditation aids, Share our received insights by reading our blogs and watching our videos, and have a transforming experience of your own through our Kindred Being Beyond Quantum Healing Sessions. Transcend with us. Join the Kindred journey. Meet Kindred Being Founder Jaime Rodriguez. Discover Kindred Being’s approach to Beyond Quantum Healing. Find out what it is and how you can be a part of it. Find our session transcripts here. Read about our Kindred Being Beyond Quantum Healing Sessions here. We add our sessions here which are not added to our youtube videos. Book your Kindred Being Beyond Quantum Healing Session here by viewing our session calendar. See our collection of videos here. We share energy information tips, stories, visions and sessions here in our Kindred Being videos. Transformative thoughts and ideas blog. Shared messages from the beyond. Join our Kindred Being Journey. 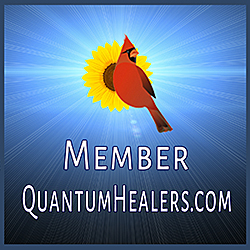 Find Tarot Readings, Spirit Guide messages, crystal healing, and blogs about spiritual awakenings. Kindred Being offers links to like-minded businesses. Try these businesses to enhance your experiences. Love yourself Yoga, A Touch Of Relaxation, Salt Oasis. Kindred Beings collection of Promotional photos. Find what inspires and motivates us in our promotional photos. Experience the energy movement through the channelling of Light Language. Meet Kindred Being Founder Lilah Moriarty. Featuring meditative aids to enhance your meditation experience. We offer a variety of products to aid in your communication with spirit guides and to connect you with the subtle energies in our midst. We offer meditation cushions, pendulums, crystals, smudge sets, wands, and many other items to assist in your journey. These are transformative products that we use, and would like to share their benefits with you. Are you a kindred Being? Kindred Being ships all orders within 7 days of purcheses unless otherwise specified. We are dedicated to the safe and expedient delivery of any items bought from us. Packages will be shipped through USPS and a tracking number will be provided at time of shipping. Find Kindred Beings terms and conditions here. Meet The Owners And Creators Of Kindred Being. Learn About The Individual Paths That Led Them To Create Kindred Being. Share our Spirit Guide Communication Experiences And How Being A Kindred Being Changes The Way We Look At This Existence.